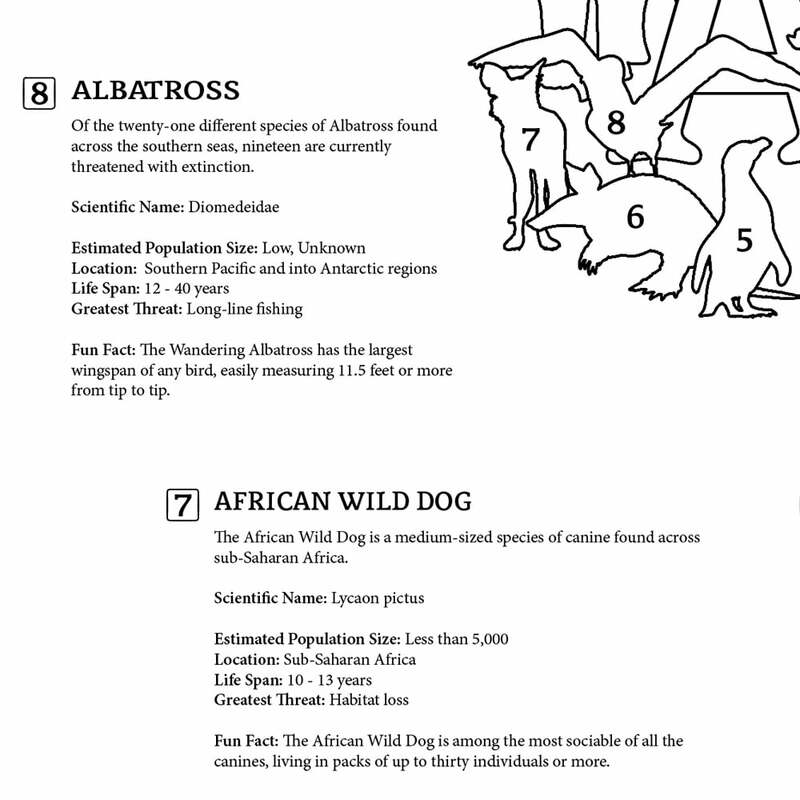 Designed for the classroom, this wonderful educational coloring book features 124 of the more than 5,000 animal species listed on the IUCN Red List of threatened wildlife worldwide. 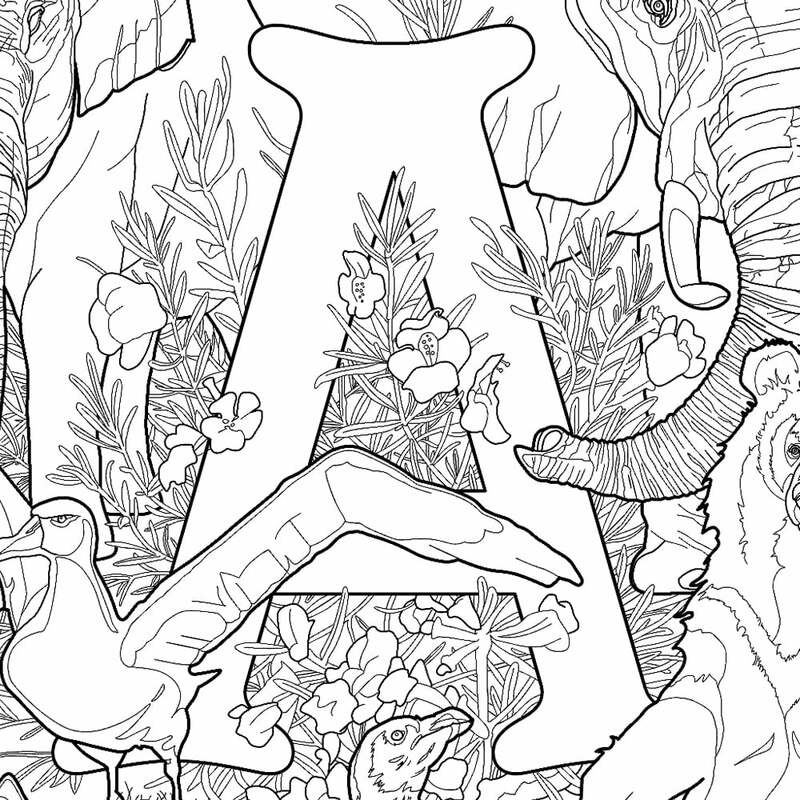 E is for Endangered: Full illustration of the letter A with accompanying educational information. Get out your colored pencils, crayons, or markers and get lost in the highly detailed renderings. 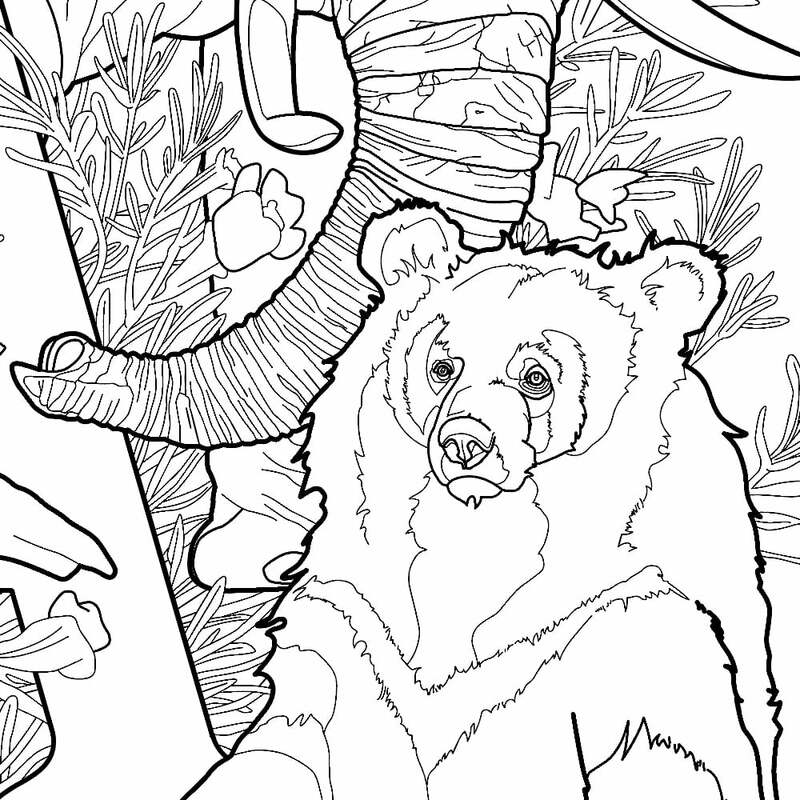 Color the animals realistically or tap into your impressionistic side and go crazy. Create your own masterpiece. Introduce kids to a world of amazing creatures through art, promote empathy, and increase your own knowledge. Education is the key to all conservation efforts. Your purchase will support ongoing conservation efforts to protect wildlife. 10% profits will be donated to organizations working to save endangered species. Follow progress, get updates, free stuff, and a virtual hug. Each letter in the alphabet includes a selection of endangered, critically endangered, and vulnerable animal and plant species denoted by their "common" names. Get your genius featured on E is for Endangered and share it with the world. After you've colored your masterpiece, please send me a picture of your amazing artwork. 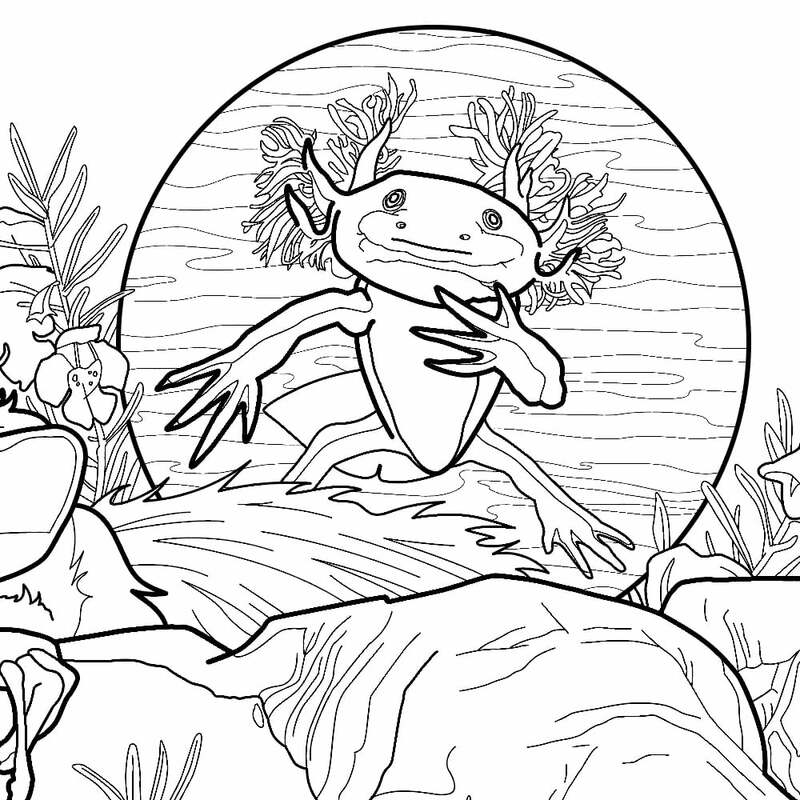 YOU CAN HELP SAVE THE PLANET'S VANISHING WILDLIFE BY COLORING PICTURES WITH YOUR KIDS. Support this project, wildlife conservation, education, and an artist with your purchase. Over 5,000 species are imperiled.